Africa has a very enviable solar irradiance, which makes it an attractive region for promoting on grid and off grid solar power projects. In addition, the very low levels of power access and poor grid supplies also combine to make a strong case for solar power expansion in Africa. Since the beginning of the solar power movement in the last decade, this regional solar advantage has been visible to both local solar companies and foreign developers and several countries such as Kenya and South Africa have provided policies designed to attract investments. 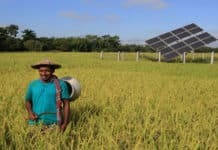 However, the availability of solar power financing has been a deterrent. 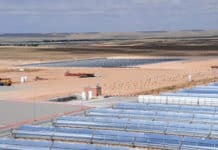 But in the last five years, there has been a noticeable growth in solar projects and solar financing for the region to the advantage of both fund providers and fund seekers. Several recent events are aggregating to help expand the financing horizon for solar projects in Africa, which in turn opens more opportunities for solar product manufacturers, financiers and installers. Presently, solar power development is progressing rapidly in the continent, led by countries such as Kenya, Morocco, Uganda, South Africa and lately Nigeria. About 600 million people (of Africa’s 1.1 billion populations) do not have access to electricity. Those who are connected to the grid – mostly in urban areas – receive very limited supplies, because Grid connection is generally bad due to poor infrastructure and the required infrastructural upgrade is estimated to cost huge sums of money. Stakeholders in the Africa energy market now believe that solar power, (off grid and on grid) provides the fastest route to increasing energy access. In Kenya, one company called M-KOPA Solar has provided off-grid solar power to about 400 million households within four year and has seen its revenue rise from zero to about $40 million within this same period. M-KOPA is now present in three Africa countries of Kenya, Tanzania and Uganda and its success is exemplary of the massive opportunity for off grid solar throughout the African continent. M-KOPA has received several funding from local and international financiers and the company is a member of the President Barack Obama’s Power Africa Initiative, which promotes external investments within the African power sector. There are several small solar power companies in Africa with the capacity to grow into multinational solar power providers if they were not limited by the absence of finance. In spite of this general limitation, a critical look at some of the most recent financing deals relating to solar in Africa, shows a steady growth in available funds. It now seems that the challenge for those who are yet to access financing could be information gaps, which prevents both funders and fund seekers from mutual collaboration. Most of the funding opportunities for solar power developers in Africa are based offshore; this is in addition to some financing portfolios held by regional banks and Development Finance Institutions (DFIs). Recently local financial institutions are now building capacity and are increasingly partnering with foreign funds to. These financiers provide a varied mix of structured finance, including depth, equity and depth mezzanine. 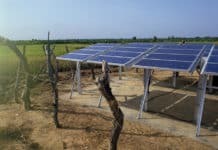 The speedy growth of solar deployment in Africa suggests that available funds will increase as the solar markets expands, especially off-grid solar products designed for rural areas. Financiers normally require that projects demonstrate good bankability which includes being promoted by experienced and competent persons, being sustainable with proven evidence of existing markets and attractive offerings, as well as, operating in a market that has supportive solar policies. Recent trends suggest that African solar power companies that are well structured have been attracting the proper finance. This includes Nigeria’s Quaint Global Limited which is developing a 50MW on-grid solar plant in Northern Nigeria. Quaint Global raised $100m in 2015 from Access Infra Africa, an Africa-focused power investor and operator. 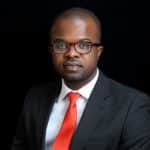 In countries such as Nigeria, solar project financing has been led largely by foreign financiers; this is especially true of on-grid solar companies which signed Power Purchase Agreements (PPAs) with the Nigerian government in June 2016. The solar developers are mostly foreign project developers who are working together with local Nigerian partners. They are expected to develop a combined 1200MW of solar power within the next 12 to 24 months and some have attracted finance in the form of equity and debt from renewable private equities. 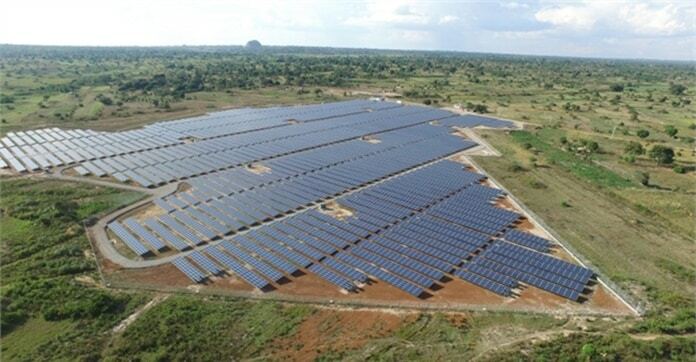 One company, Gigawatt Global is supported by a Canadian private equity JCM Capital and they are developing a 100MW solar asset estimated to cost over a $100m in Northern Nigeria.